Row 1 (Right side): K1, * put RH needle between the next 2nd and 3rd stitches, and draw through a loop, leaving loop on RH needle, k2tog tbl; repeat from * to last st, k1. Row 3: K2, * put RH needle between the next 2nd and 3rd stitches, and draw through a loop, leaving loop on RH needle, k2tog tbl; repeat from * to last 2 sts, k2. 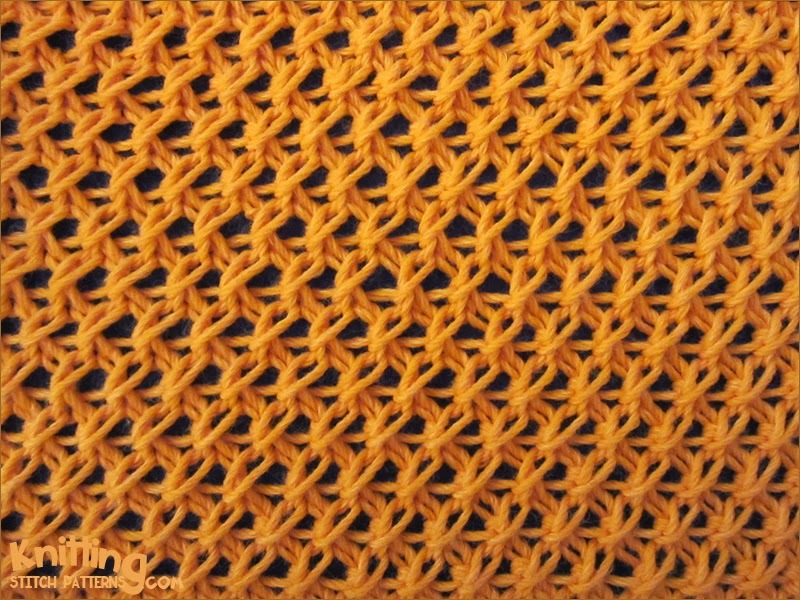 Repeat Rows 1 to 4 until desired length. 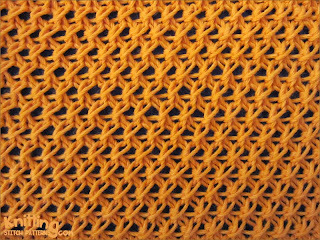 Knit: K | Knit 2 sts together through back loop: K2tog tbl.